Welcome to the website of the Belvedere Jazz & Music Club – Essex’s premier jazz and live music venue. Come and hear some of the top UK and overseas performers live at Belvedere Jazz. 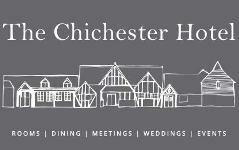 We reside at The Chichester Hotel, Old London Road, Rawreth, Near Wickford, Essex SS11 8UE (Off A129, 800 yards from the Wickford side of The Carpenters Arms roundabout). Food is available from 6.15 pm with live music beginning at 8 pm. Weekly concerts are held on Wednesday evenings throughout the year except December. Featuring a wide variety of jazz genres including Big Band, Swing, Mainstream, Easy Listening and foot tapping music – there’s something for everyone! A friendly atmosphere and candlelit tables await you. Large free car park. Non members most welcome.